← Would You Do It? First of all I want to say thank you to Ben Nelson for giving me the privilege of reading his book, Encounters With Jesus. Ben Nelson from Another Red Letter Day is quite a gifted writer. I had the awesome privilege of reading through Ben’s book, Encounters With Jesus before publication to which I am eternally grateful. The very first time I read one of his encounters with Jesus stories I was hooked. Ben’s style of writing reminds me of the authors of the Left Behind Series-Jerry B. Jenkins and Tim LaHaye. Not only could I not read these stories fast enough but my 11-year-old son was hooked just like I was. I encourage you to check out his new book and considering purchasing an extra copy or two as a gift. 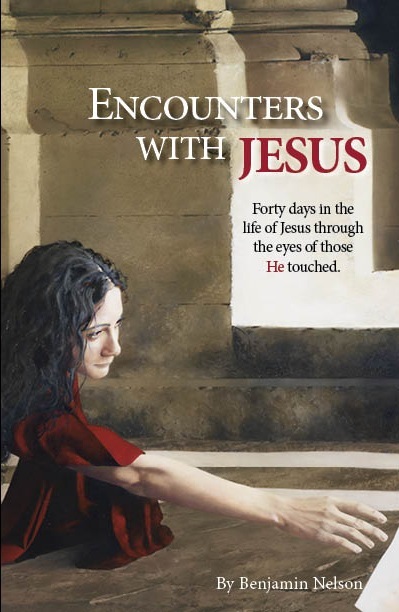 This entry was posted in Short Stories and tagged Another Red Letter Day, Ben Nelson, Christianity, Encounters With Jesus, Jesus Christ, Left Behind authors, stories of Jesus, Win hearts for Jesus!. Bookmark the permalink. 8 Responses to A Must Read! Thank you for your kind words Debby! Thank you, Ben for the privilege of reading your book! I can’t wait to bless people with your book! Just bought this and added it to my reading list. You are going to love it, Pastor J and thank you for the reblog! My pleasure. I hope it gets Ben some sales.